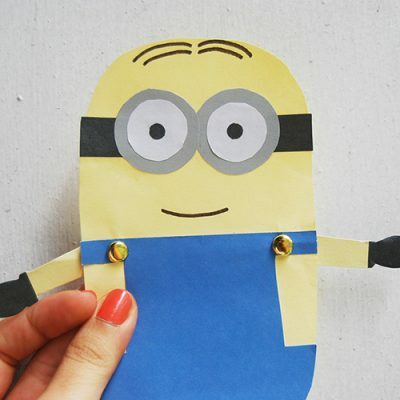 Make these cute minions from Despicable Me! It’s a fun and easy craft project that kids will love. this is a great idea for kids to do in the house when it is too miserable to be outside to play. kids had a blast!! Thank you sooooo much to share, my student gonna love it!! !